Bookkeeping Using A Filipino Virtual Assistant. Enquire NOW. 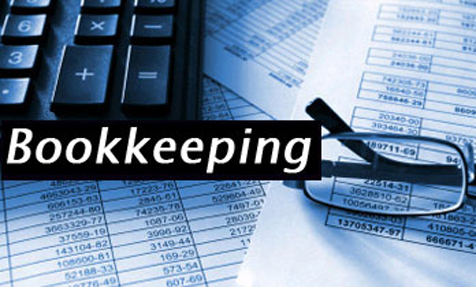 A Virtual Bookkeeper is a person who is contracted to provide accounting services from a remote location. One of the key steps in starting a business is setting up the back office functions which include bookkeeping. In any business, regardless of size or type of industry, you have to keep track of the flow of money because you have obligations to settle and programs to fund. For small businesses, the owner assumes this responsibility at the start up stage. But when the business gains traction and the owner has more core functions to attend to, back office becomes a casualty. If your business does not observe efficient bookkeeping processes, you will be at risk of undermining all the efforts you have done to grow your enterprise. Managing a business day-to-day is a difficult and understandably time consuming task. With the myriad responsibilities business owners need to do it’s easy to forget or oversee the payment due dates of bills, invoices from creditors and suppliers. Imagine landing an important business conference call from the CEO of one of the largest companies in your industry. Then one hour before your scheduled conference call, your broadband service gets cut due to an account payment oversight. Most candidates are well-experienced and used to be office-based 9-to-5 bookkeepers before deciding on becoming freelancers. The cost of hiring virtual bookkeepers are lower than maintaining regular office staff. Virtual bookkeepers start out at AUD$ 7 per hour and are not entitled to company or government mandated benefits. A regular office-based bookkeeper starts out at AUD$ 30 per hour and with benefits, will cost you almost five times that of a freelancer. It is important not to miss payments on creditors and suppliers as these will affect the flow of the business. Inform your suppliers to address all invoices to you but “care of” your virtual bookkeeping assistant. You can also give him or her limited access to check the effective balances of your accounts online. If your portfolio of clientele is growing, it is ideal to maintain each account as its own profit center so you can measure their individual performance. Organizing the receipts and invoices of each account will be cumbersome. A reliable candidate is one who is well-versed with one or two small business accounting programs that provide systems for tracking all transactions. Without these statements, it will be difficult for the business owner to track the progress of his enterprise and support expansion programs. Setting up the bookkeeping work flow is easy. All you need is an FTP or File Transfer Protocol site where files and documents including images, scanned copies of invoices and receipts can be uploaded, shared and organized. However, you need to make sure the FTP site is highly encrypted and secure because financial documents are confidential in nature. All people who are granted access must be given a password by the business owner or site administrator. There are a number of highly secured, cloud based file sharing systems online. Once a report has been accomplished and uploaded, you must be informed immediately through e-mail and invited for a virtual meeting especially if these files are crucial to the business. If you have an accountant onboard your company, it is highly advisable to have him or her conduct an audit on all work submitted and to schedule meetings to review the current financial position for the purpose of planning the budget for the following month. By hiring a Virtual Bookkeeper you will strengthen the foundation of your business and be assured of the smooth, efficient and uninterrupted flow of operations.